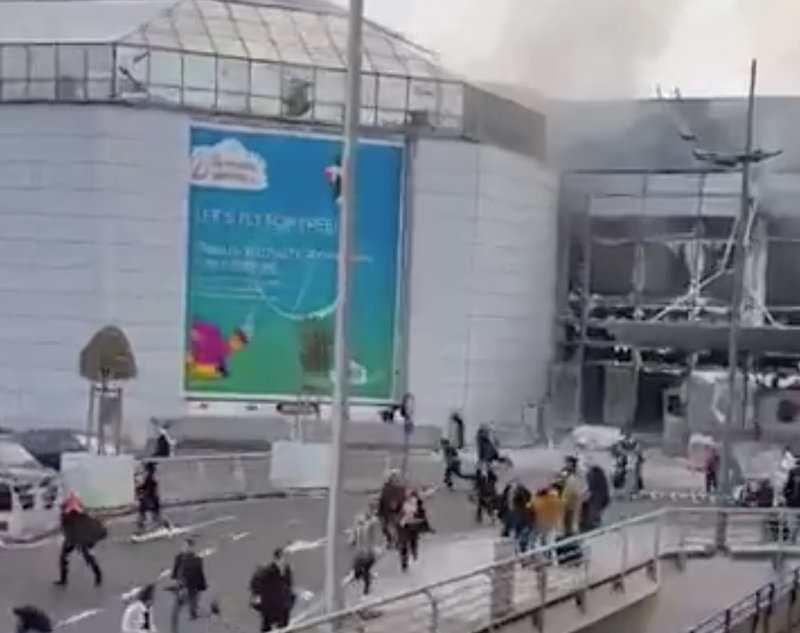 While the cause of the explosions remains unclear, they come just days after the arrest of key Paris attacks suspect Salah Abdeslam in Brussels that have raised fears of revenge attacks to follow. They also bring to mind the November 13 bombings and shootings that took place in several places around the French capital. A passenger called Veronique who had been waiting to register for a flight to France, described the chaos inside the Brussels airport. “There were lots of military around with their dogs. I heard the sound of a door closing and a dog running and then it exploded and then we all started running,” she told French radio, with sounds police sirens ringing behind. Passengers described the blasts taking place at a Starbucks cafe and in the terminal for flights to the United States. “We were 3 hiding, we didn’t know whether to come or go,” another airport passenger who hid with others during the blasts told France’s BFMTV.